WE WILL DO EVERYTHING WE CAN TO MAKE YOUR PURCHASE AS SMOOTH AS POSSIBLE. 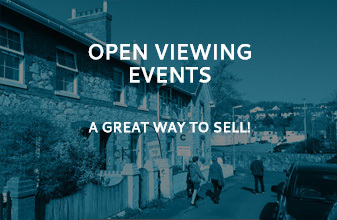 Whether you are an experienced purchaser or looking for your first property, we want to help. When you contact us we will establish your property requirements and how best to ensure you are the first to hear about appropriate homes. If you are new to the area we can provide a comprehensive insight into the areas we cover and their relative benefits. If you need a clear explanation of the purchase process we can also provide this. We can offer advice on the different types of property available and what you might expect within a particular budget. We will provide details of properties which may suit you and are on hand to answer any questions you may have about them. Arranging viewings is a simple process, just contact us by your preferred method and we will do the rest. We will always try to accommodate your favoured times and we almost always accompany viewings. We do this so we can answer any questions you might have and in order to understand your requirements as fully as possible. This helps us make recommendations on which other properties you should view in order to find your ideal home. When you find a property you want to buy, we will assist you in securing it. We will establish your buying position and put your offer forward in a positive manner. Proving your ability to purchase makes your offers more attractive to the seller, and so can be financially beneficial to your chances of securing a property for the best price. In the event that your offer is declined we will, where possible, give guidance on what the seller is looking for. This may assist you in making further and hopefully successful offers. Once a price is agreed we will write to both parties and their respective solicitors. If you don’t have a solicitor, we can help you find one who is both reliable and competitive. If you need finance we can point you in the direction of an independent mortgage adviser who can help. We can also assist you in finding surveyors or other professionals which may be needed. If you need an explanation of the legal process don’t hesitate to ask. As matters progress we will keep in touch with the various parties involved and keep you informed. When legal work has been finalised, contracts will be exchanged and the completion date agreed. That’s nearly the end of the road! On completion day we will liaise with you and hand over the keys. There maybe a few other housekeeping matters to deal with like meter readings etc. but we will be on hand to help. You will be in your new home and we will be offering congratulations and looking forward to assisting you the next time you move.